Orange City Porch Lanai Fill In Enclosure with Acrylic Windows. Prager Builders Sunroom Pro. Believe it or not, this homeowner grows tomatoes inside this lovely acrylic sunroom! 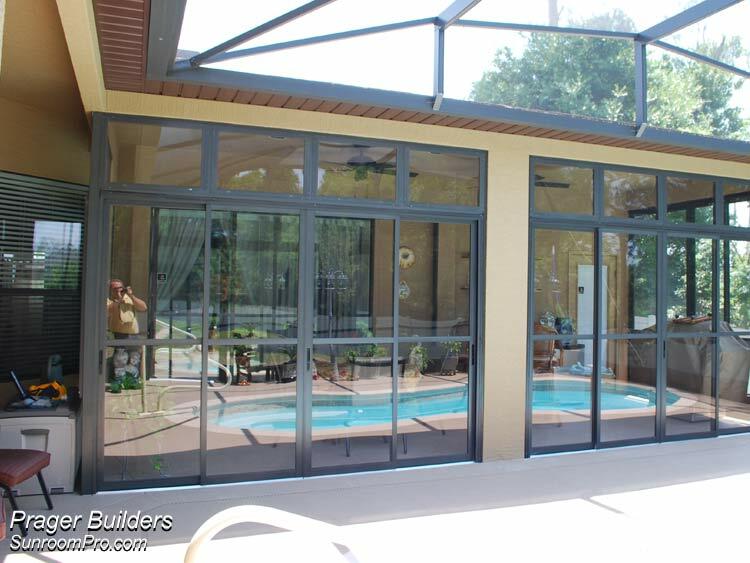 We installed a sliding wall of acrylic to separate the pool area from the main under roof lanai. The effect was spectacular! The doors slide in either direction and lock securely. 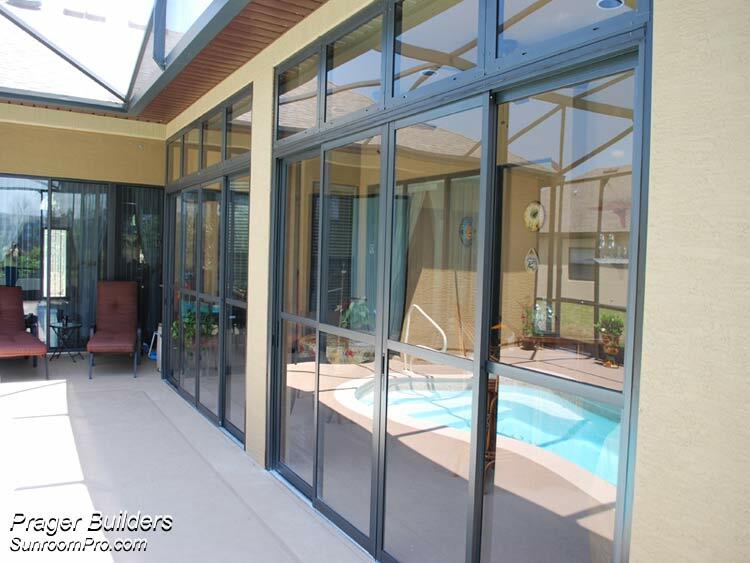 We have constructed many porch lanai fill-ins in Orange City and all throughout Central Florida. Our staff is known for their thorough analysis of the existing architecture and their ability to adapt the materials available to best suit the design of the house. We provide a detailed drawing and materials list suitable for submission to the homeowners association when necessary and provide a detailed written contract on every job. 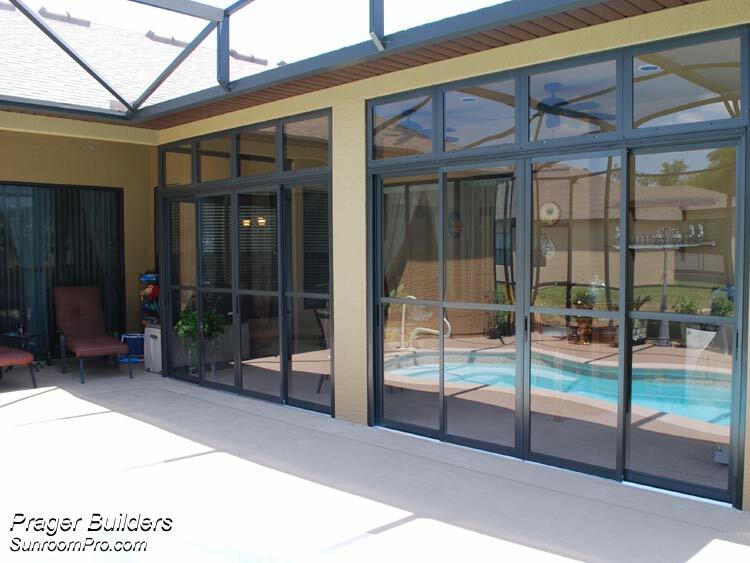 Our emphasis during design and construction is on cosmetic detail, and for this reason, Prager Builders Sunroom Pro is recognized as a recommended builder in hundreds of upscale neighborhoods with discerning taste. The company owner visits each and every project prior to completion to further insure that quality control is maintained. Our attention to detail is unsurpassed and we have a enormous referral file. We earn each reference one gorgeous room at a time! 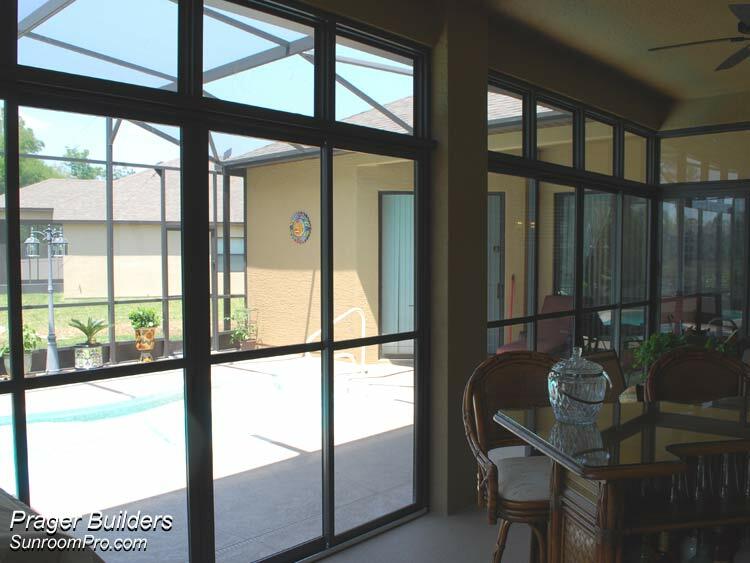 We have built thousands of sunrooms, screen rooms, covers and enclosures in greater Orlando.